Western Canada’s most terrifying adult themed Halloween event, Fright Nights at Playland, is back this year, with seven haunted houses and fifteen fear-inducing rides. For the first time ever, visitors will be able to ride Canada’s most extreme pendulum ride during the Halloween season, as The Beast makes its Fright Nights debut. With a terrifying pendulum arm, guests will be swung 120 degrees in either direction while sitting in seats that spin 360 degrees, reaching speeds of more than 90 km/hr and heights of over 125 feet. 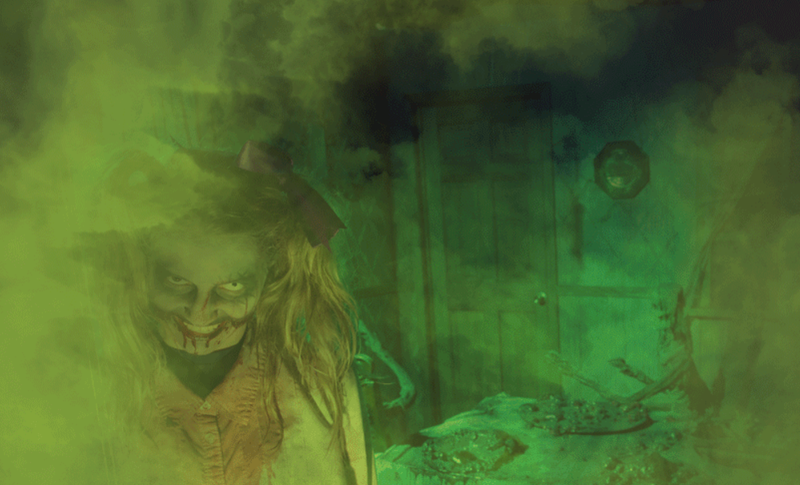 Beloved haunted houses like Darkness and Keeper’s Doll Factory will leave you with nightmares for days, while debuting for the first time at Fright Nights is Radiant Heat Fire Troupe, whose spectacular fire shows will leave you breathless with amazement. In addition, cringe worthy entertainment will return to Playland as the Monsters of Schlock return to put on an incredible old style freak show. Guests will again be able to save $3 purchasing tickets at participating 7-Eleven locations or online. Guests will also have the option to purchase a Rapid Pass, which offers the same access as a regular gate pass PLUS access to an expedited line for each Haunted House and rides on The Beast, Wooden Roller Coaster, Music Express, Atmosfear and Hellevator. We are giving away 4 tickets to Fright Nights at Playland to one lucky reader. Much scary. Much fun. Wow.